I brought Alisa back today because we have been watching some interesting things unfold over on Pinterest over the past few weeks, and specifically we will be digging into video promoted pins. This episode will be different in that I am not sharing answers to specific questions. Rather, we are going to discuss our thoughts on these changes and have more of a conversation. I hope it is helpful for you! If you have done any Pinterest marketing for more than a week, you know that hashtags don’t work on Pinterest. But recently, we have seen hashtags popping up on Pinterest (and in some cases actually being populated by Pinterest itself). It’s a bit perplexing, so I had Alisa try to discover more about what’s going on with them. Alisa first noticed hashtags about 2 months ago. They were directly underneath the image in the pin and they were actually clickable. They acted as a filter for the related pins for that image. The interesting thing here is that the hashtags were not in the actual pin description. These hashtags were actually added by Pinterest. 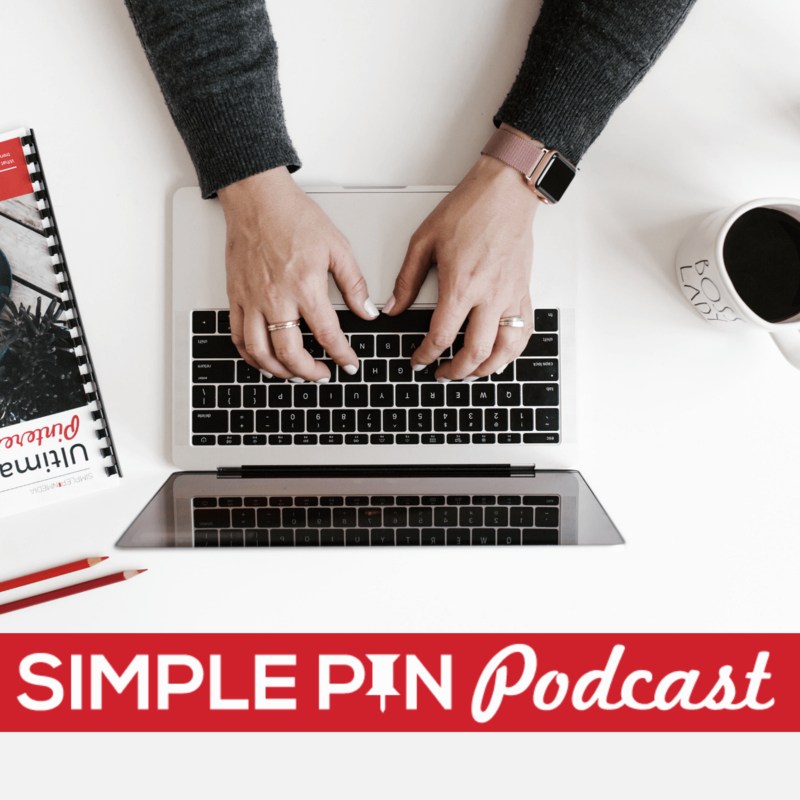 A previous podcast guest on who educated us about ecommerce strategy on Pinterest ( Tina Gammon), stumbled upon Pinterest hashtags when she accidentally typed a hashtag on a pin. Not only did it pop up other hashtag suggestions for her, it also showed her how many times those hashtags had already been used. So…Should I Be Using Hashtags? One of the reasons we have discouraged the use of hashtags in the past (besides the fact that Pinterest itself told us not to use them) is because it’s what the scammers were using. So are they now going to benefit from higher rankings? Alisa says no. Pinterest is smart enough to know what those folks are up to and to take steps on the front end to avoid that. But we have to be careful not to jump too fast. Pinterest tries new things all the time. It doesn’t necessarily mean that the newest Pinterest craze will stick around or become a best practice. It will be interesting to see how the use of hashtags affects the search on Pinterest, as well as the scammers. With Pinterest currently populating the hashtags themselves, it’s too early to tell for sure what the outcome will be. So keep your eye on this. If you are new to Pinterest marketing, please listen to this with an eye to the future. 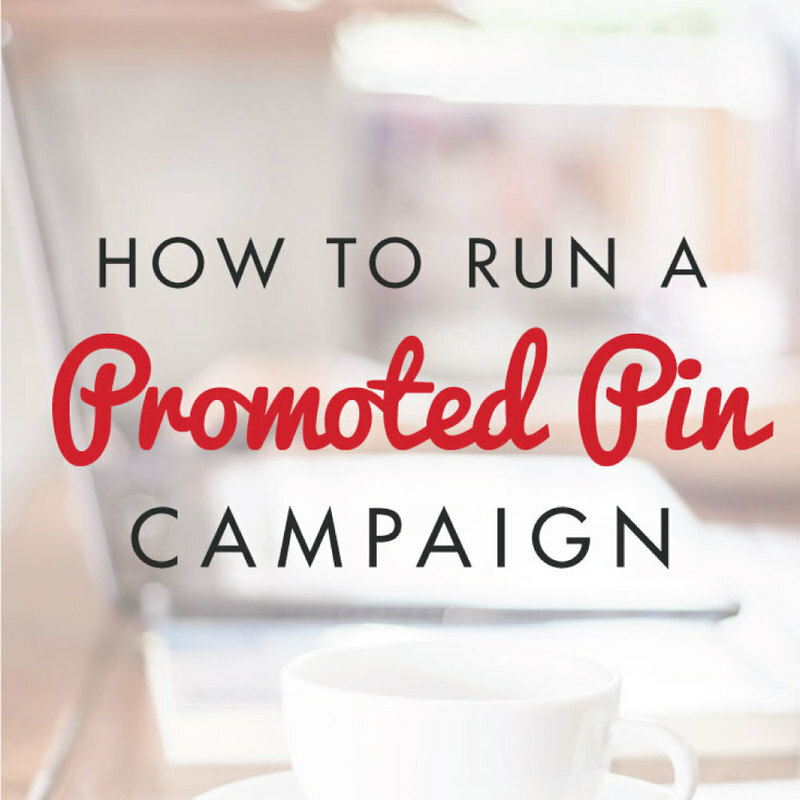 The first thing you should do is play around with regular promoted pins and see how they work. Do some testing and get comfortable with them before you dive into video. Go here to get my complete guide to promoted pins if you have never used them before. Side note: I devoted an entire episode on using video for Pinterest. This is a multi-step process that has worked really well for many people who would like to market their video-based business on Pinterest. Video has been more of a “speed bump” on Pinterest because of how it inherently interrupts the feed. It has always required the user to take another step to click through to your actual site to see the video. The new native video is another step toward crossing that hurdle. Pinterest has been testing their video strategy out for a while now, but only with some of the bigger brands. And they have stepped up their game by making the newest videos auto-play. One of the great things about native videos is that they are a nice big square instead of the tiny rectangle that you get when you upload your Youtube video to Pinterest. The main difference between regular promoted pins and video is that with video, you are paying for impressions. You are paying to create brand awareness. Creating video promotions for views would be too cost prohibitive. You will be faced with 2 choices for your campaign: daily and lifetime. If you want to run your campaign indefinitely, then choose daily. But for a defined campaign, choose lifetime. There is a minimum of $6 for 1,000 impressions. When video promotions first began, there would be links below your video to some of your other promoted pins, but currently, those links are to related content from other pinners. It’s still too soon to know what those links will ultimately be, so keep your eye on that. Another important thing to note about these video promoted pins is that they are for mobile only, and for iOS only. So now you are left with the question, should you do it? And how do you know if it’s right for you or for your customers? If you or your clients have the need for that level of brand awareness and you have the budget for it, then by all means, you should try it. But if what you really need is traffic to your website, then stick with the traffic campaigns. A word on traffic campaigns…sometimes it’s hard to know what a good CTR (click through rate) is, so I asked Alisa to share what Pinterest says is a good rate. According to Pinterest, .2-.3% is a good CTR. Recently, I have had as much as .6% on a campaign I am running. I see the real value in promoted pins being the fact that pins live on indefinitely. Even when your campaign is over and you stop paying for traffic, your pin is still being seen. There actually is no end to the life of the pin. There is even more value when you realize that for every pin of yours that somebody else saves, that’s engagement that you aren’t paying for. As of this recording, it is mid-August. We are seeing some changes now and whenever there are changes, there are always glitches to go along with them. Sometimes these glitches make your boards get jumbled up, you may have trouble pinning from your site, etc. You can always go to my group on Facebook to ask your questions and get answers on what other people are experiencing. And then, just wait out the changes. Things don’t happen on Pinterest overnight, so these glitches usually work themselves out. Remember that the typical Pinterest user doesn’t see all of the backend things that we notice. Relax and give it time to correct itself. Creating great content and sharing it with your target market doesn’t change, so don’t let these little things drive you crazy. 36:28 What Else Do I Need to Know? With so much changes on Pinterest, you just have to keep up if you want to be successful in it. Can’t wait to see what they’ll do next. Thank you Kate for sharing and keeping us up to date. I agree, there is no room for panic, all the changes that happens to you most probably also happen to others. Thank you Alissa to for sharing useful insights! I did notice more video pins in my feed but didn’t know they were available to me for promoted pins. I always thought they were just ads because I only saw bigger brands doing them. Maybe I need to get more into video! PS – Thanks for the 1×1 at Activate. I learned so much!